Of the three Display Modes available in RealTimes — Normal Mode, Toolbar Mode, and Theater Mode — Normal Mode is the default. RealTimes appears as a window on your desktop. 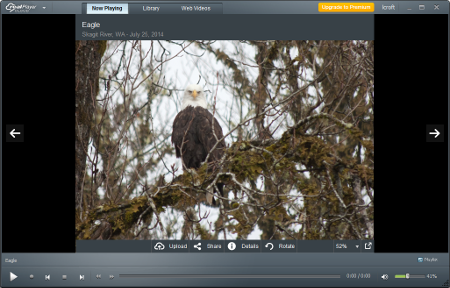 A video or Visualization presentation's image appears within the Media Browser under the Now Playing view. All browser buttons, menus, and player controls are immediately accessible.